When In Manila, here’s a new place you definitely want to check out! 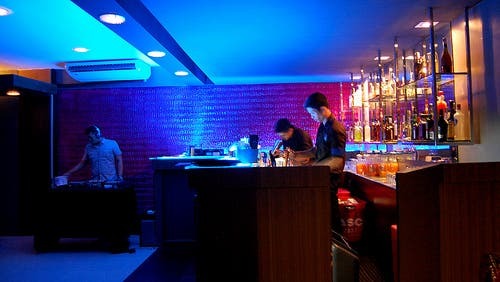 It’s called Luna Resto Bar, and it’s exactly the type of place that the San Juan / Ortigas area needs. 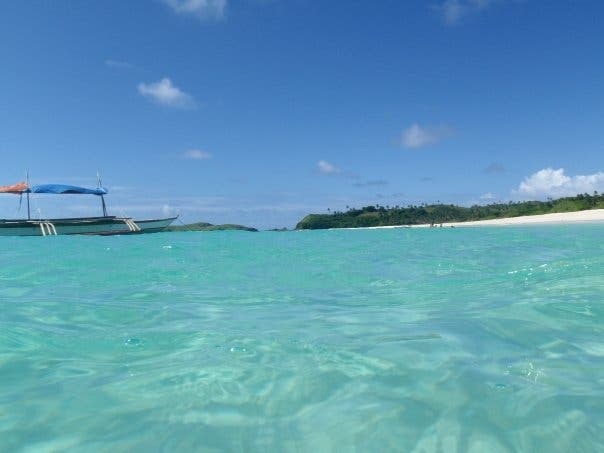 After a full day of bargaining and shopping at the best bargain outlet store in Manila – GreenHills Shopping Center, you’ll find yourself famished with a need to replenish your tired mind and body. The San Juan / Ortigas area is a busy little part of Manila that has been longing for a place where you can have fun, unwind, relax and eat good food. 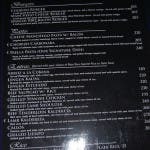 Now that’s exactly where Luna Resto Bar comes in! 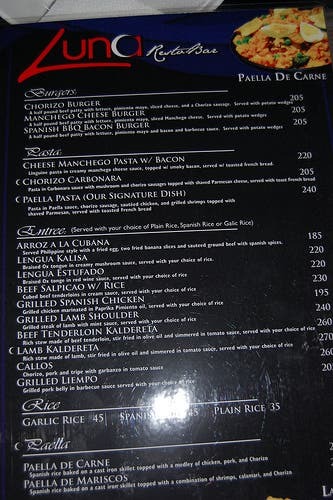 Not really sure if “RestoBar” is a global word or just a Filipino term, but either way, you get the point right? It’s a restaurant and a bar. Other than clarification of that, I don’t think there are many other issues when talking about a place that serves food and alcohol! That’s definitely how you need to roll! 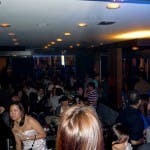 I was originally excited to see the nightlife and the party atmosphere that this place had to offer. To my surprise, it was actually the food that got me really, really excited. 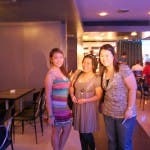 The Spanish – Filipino Fusion in the food was perfect. 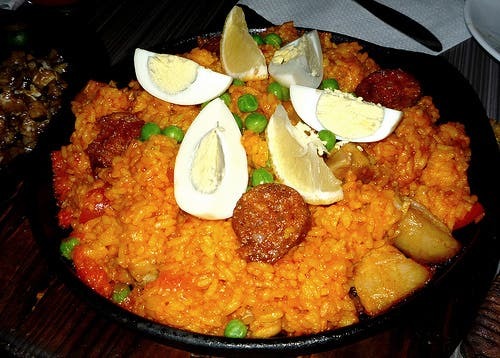 It gave the dishes a splendid mix of Filipino flavor with a twist of Spanish spice. My personal favorite of the night were the Luna Nachos. The Nacho Chips were smothered with chorizo, chili con carne sauce, melted cheese and drizzled with their popular pimiento mayo. This was one of the best Nachos I’ve ever tasted in my entire life! And I mean that with no exaggeration. Anyway, the good Spanish Filipino Fusion of food didn’t stop there. We tried out the Luna Sisig, Flaming Chicken Wings (which were served literally FLAMING), Paella de Carne, Lengua Salpicao, Lengua Estufado, Paella Pasta and more. I’d go into details on how good these other dishes were, but I think my good friend Hannah describes them better on her blog FlairCandy.com (FlairCandy review of Luna Bar and Resto Party Launch – the Moonshine Effect). So moving on now to the after party, I was definitely happy because this is one of the good places that serve good beer here in the Philippines. I was ecstatic when I found out about the Hoegaarden beer they had. Good beer = Happy Vince! They did let me try another “specialty” drink they had there. It was the “ChocNut Mojito” special. Now for that one, I wasn’t that big of a fan. Might just be me, but I thought there was too much stuff going on in that glass for me to appreciate. I mean I like Mojitos the way they are, so adding that ChocNut chocolate coconut bar to it was kinda off for me. But do give it a try and let me know what you think. Besides, just wash it down with some Hoegaarden and you should be alright. 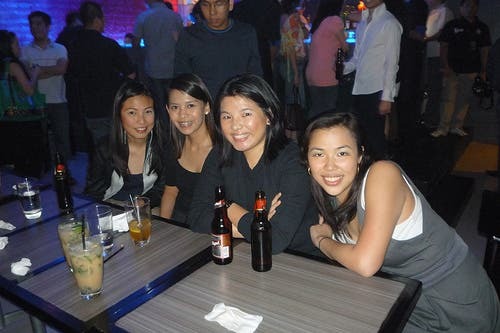 Other than the drinks, the party people and atmosphere was really nice. The place is big enough to hang out and move around, there is an outdoor patio overlooking Wilson Street, and the music was a pretty good mix of chill out house music and some R&B / Hip Hop mixes. 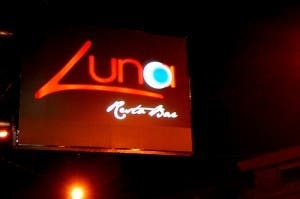 Anywayz, had a BLAST there at Luna RestoBar with their Moonshine Effect Party that night!